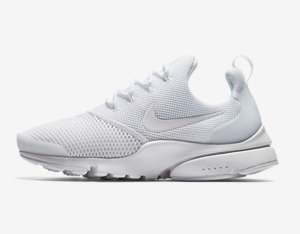 The Presto Fly for women's is a light, casual shoe, suitable for everyday wear. 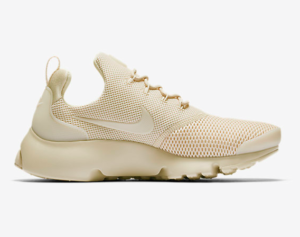 A majority of its users are quite satisfied with the wearing experience as the sneaker is comfortable enough to wear all day. The price is another selling point. 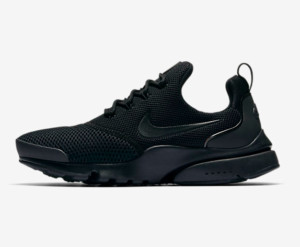 Sitting in a reasonable price range, the Presto Fly is money worthy with good quality. It is certainly an ideal go-to shoe for walking around with long-lasting comfort. 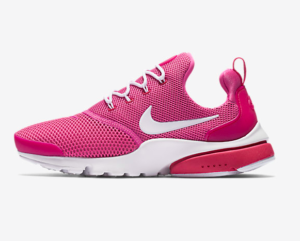 The sneaker features a causal look, very easy going with outfits and has a wide collection of colorways available. A good and practical gift. Some colors may appear slightly darker than in photos. Some users find the insoles of the shoes are too big. A couple of wearers find the midfoot slightly narrow. 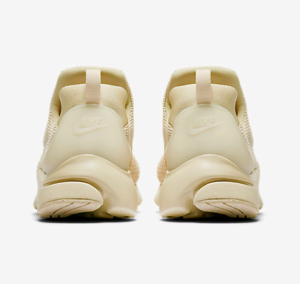 The Presto Fly is a remake of the 2000 original; it comes in Flywire cables which integrates with laces and give dynamic lockdown. A majority of wearers love this sneaker as it is very comfortable, supportive, flexible, and so light on the feet! It is a good casual shoe at reasonable price point and good value, especially great for everyday walking and standing. It is so well-constructed and comfy that one wearer shared that even she was not into the style at the first sight when trying it on. But she packed the shoe because it is just too comfy to miss out. The causal sneaker is more versatile and tough than it looks. Some use it as work shoe, which provides excellent support and cushioning. The black shoe is quite handy for this reason. A user even compared the Presto Fly to the Air Force 1 and found the Presto Fly suited her better and more comfy! 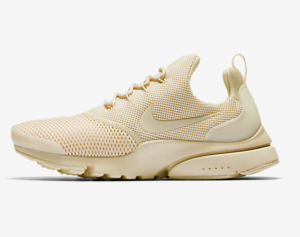 Some wearers use the the Presto Fly as a walking shoe. A serious walker feels happy with the performance of this shoe after wearing it for nearly 10 miles a day. The shoe fits well, generally true to size. The front foot of the shoe is very flexible. The toes feel plenty of room in the shoe. Some users feel the shoe fits slightly snugly, but it is comfortable. 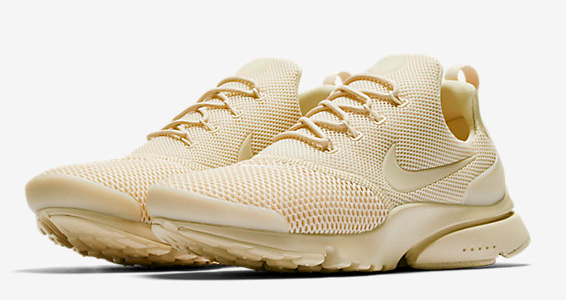 The shoe uses stretch mesh upper. It effectively keeps the shoe and feet breathable and stay cool especially during the Summer. 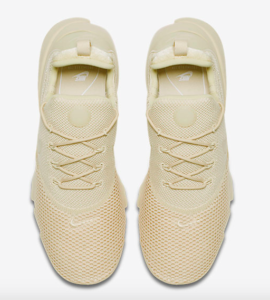 The toe box is also given great flexibility for the feet to move around while the TPU in the toe and heel provides extra support as well as resistance to abrasion. The shoe uses Flywire cables to integrate with laces for a minimal appeal and lockdown effect. The pull tab on the heel makes it easy to wear and take it off. The shoe’s IU midsole doubles, providing a lightweight cushioning. The design of a high heel base creates a different feel than flatter ones. The outsole gives good traction suitable for various activities.